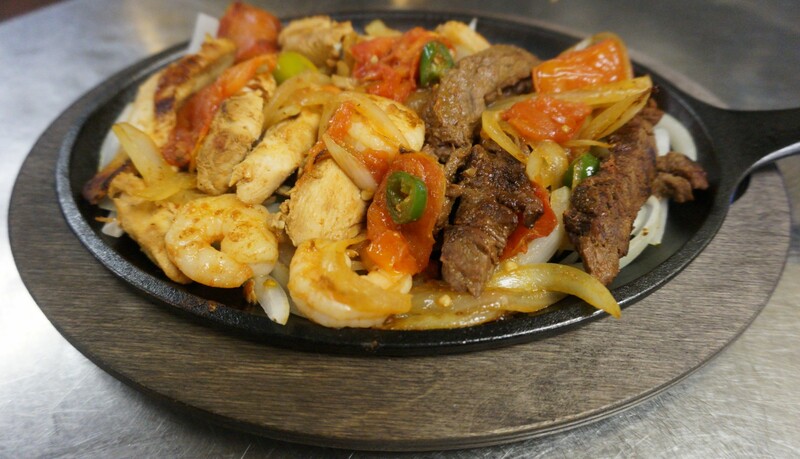 Beef, chicken or shrimp with bell peppers & onions. With rice and beans, guacamole, sour cream & pico de gallo. Beef, chicken or shrimp with jalapeños, onions & tomatoes. With rice and beans, guacamole, sour cream & pico de gallo. Large order of fajitas beef, chicken, shrimp and ribs. 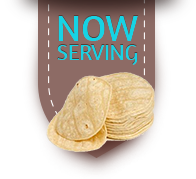 Served with rice & beans, guacamole, sour cream & pico de gallo. Los Arcos or Mexican style. 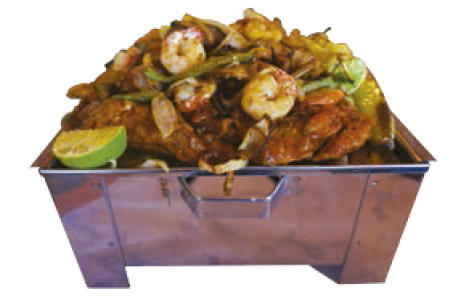 Crilled chicken, beef or shrimp with bacon, onions, pico de gallo, melted cheese on top. Served with guacamole, rice & beans. Grilled pork ribs with red, green or BBQ sauce bell peppers & onions. With rice and beans, guacamole, sour cream & pico de gallo.